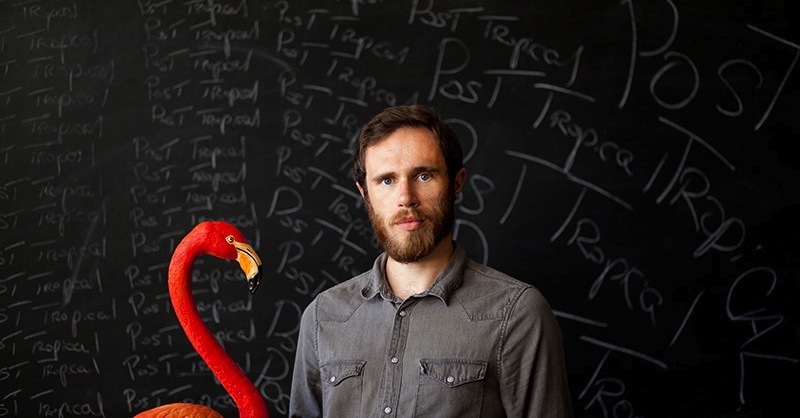 [J]anuary is a seemingly odd month to release an album entitled, Post Tropical. But don’t let the title and cover art fool you. James Vincent McMorrow’s sophomore album is a beautiful collection of songs about light and dark, warmth and cold and the stagnancy that sticks in between. Though the days are growing longer, we’re constantly reminded that after days and days and days of frigid cold, the tiniest temperature increase or extra bit of sunshine can seem like a life saver. But when it comes down to it, this is winter. And we have a long way to go. “There is so little left from the warmth of the sun,” McMorrow repeats in Outside, Digging. As if repeating it over and over might make the words less true. Compared to McMorrow’s first album, the sound is quite different. Early in the Morning, released in 2011, relied heavily on acoustic guitars. There are apparently none at all on Post Tropical. Instead we hear drums and synths that open tracks like Gold, and gorgeous layers of harp and sweeping horn arrangements that carry the chorus through. It’s one of the most surprisingly beautiful tracks on the album. McMorrow has always utilized nature in his songwriting. And while the lyrics are more abstract in Post Tropical, the complexity comes from replacing the woodsy acoustic guitar-focused sounds of his earlier work with more depth and layers in the horns, synths and harps. If you haven’t already, grab Post Tropical on vinyl or MP3 today. And check out his tour page for a full list of dates for his North American tour beginning in March. This man displays unearthly vocal ability.